Turn your company into a productivity powerhouse with this secret benefit that your employees actually want! Developing your employees and turning them into learning machines that will benefit your company from now until the future is kind of a no-brainer. Surprisingly, not every company focuses the attention they should on employee development or on-the-job learning. Here is a great list of statistics that prove why, when and how you should start bringing employee development into the workplace. Tweet This: What are you doing to encourage #employee development? Your employees are already learning anyway. Why not make it easier for them? More than 70% of learning occurs informally, while on the job. (source) 65% of organizations often assign employee development opportunities informally. Boost your bottom line: Companies investing $1,500 or more per employee per year on training average 24% higher profit margins than companies with lower yearly training investments. 85% of HR Pros state that the employee’s supervisor takes a leading role in formally measuring the outcomes of employee development. Relations between management and HR professionals can always improve. Collaborating on employee development is a great project with which to increase communication! ● 31% of companies say they plan to cross-train their current employees. 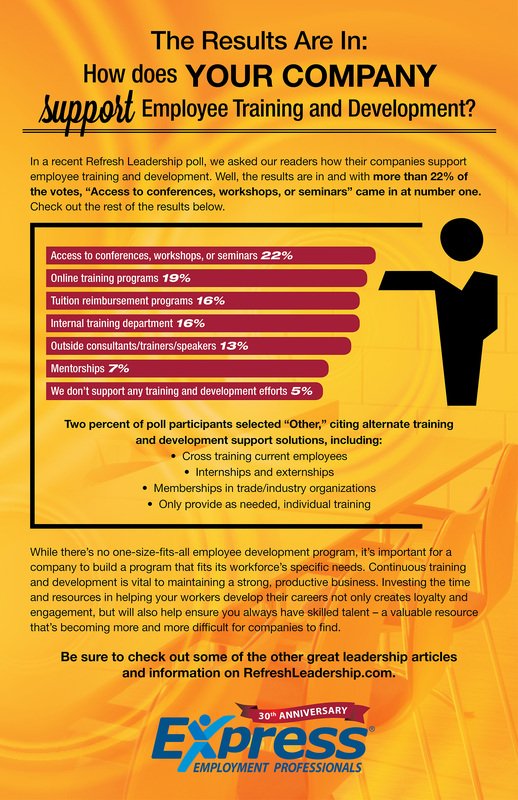 ● 22% of companies use access to conferences, workshops, or seminars to train and develop employees. There you have it! A comprehensive case to bring to your colleagues that proves the reasons and benefits of investing in employee development. Once you’ve made your decision, consider working with Reviewsnap to create a learning dashboard and system for your entire organization. Take a free trial of our learning management system today!